Nancy Fried Foster is Research Associate in the Department of Anthropology, University of Rochester, and Principal, Nancy Foster Design Anthropology, LLC. In the latter position, she helps educational and cultural organizations understand the work practices of people who use their resources and facilitates participatory design of technology, spaces and services. 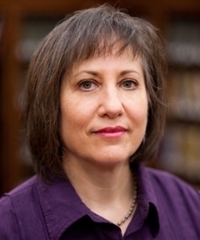 Dr. Foster directed anthropological research at the University of Rochester’s River Campus Libraries from 2003 to 2013. Projects there included eXtensible Catalog, IR+, the Camelot Project, and other technologies, as well as such spaces as the Gleason Library and the Messinger Graduate Studies. Since 2009, Dr. Foster has worked through the American International Consortium of Academic Libraries (AMICAL) to introduce participatory design and work-practice study to colleges and universities around the world. From 2007 to 2013 she delivered workshops in the US through the Council on Library and Information Resources. She has consulted to several universities in the US on projects that focus on space design while also taking account of digital technologies, including the design of the Wilmeth Active Learning Center at Purdue University, Ralph B. Draughon Library at Auburn University, and the Digital Humanities Lab at Yale University. Other projects include redesign of the Enoch Pratt Free Library’s youth wing and redesign of back-end technologies for the Federal Depository Library Program. Books include Studying Students: The Undergraduate Research Project at the University of Rochester (2007), which she co-edited with Susan Gibbons; Scholarly Practice, Participatory Design and the eXtensible Catalog (2010) with Jennifer Bowen and David Lindahl; and Studying Students: A Second Look (2013). Dr. Foster holds a PhD in Applied Anthropology from Columbia University; Dipl. in Social Anthropology from the University of Oxford; and BA in Mediaeval Studies from Barnard College.